These instructions are for Windows 2000 to Windows 10. 2. On the first screen of the setup wizard, click the Next button. 3. 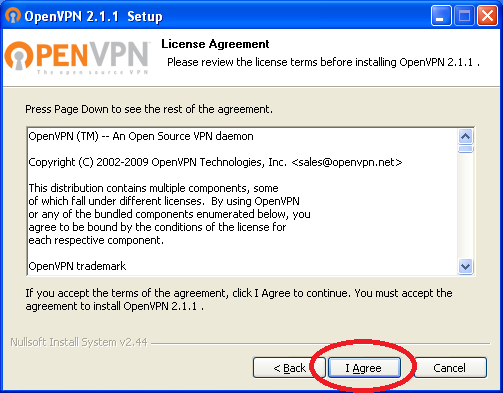 On the second screen, click on "I Agree" to accept the license agreement. 4. On the third screen, leave the default items checked and click "Next". 5. Next, select the path to install to. We recommend leaving the default. Make a note of this location, then click "Install"
6. The installer will now start unpacking and installing the necessary drivers and files. 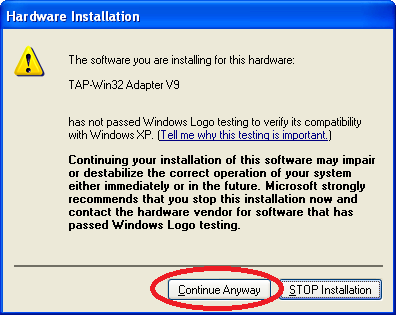 When the following dialog box pops up, click "Continue Anyway". 7. Once the installation process is complete, it will show you a log of what it did. Click "Next" to continue. 8. On the final screen, uncheck the box for "Show Readme" and click "Finish". 9. Next, you must download and install the configuration information for your specific connection. Goto your SecureSchool appliance web interface and add the following after the IP address /vpn/vpnclient-config.zip (ex. http://192.168.100.253/vpn/vpnclient-config.zip to download the file. When the dialog window appears, click "Open". 10. Once the download finishes, a window will open up with the contents of the compressed file. We must now extract these files into the right place. To do this, click on "File" then "Extract All". 11. The extraction wizard will now start. Click on "Next". 12. Now click the "Browse" button to tell the files where to go. 13. Navigate through the tree view until you reach the configuration file directory. 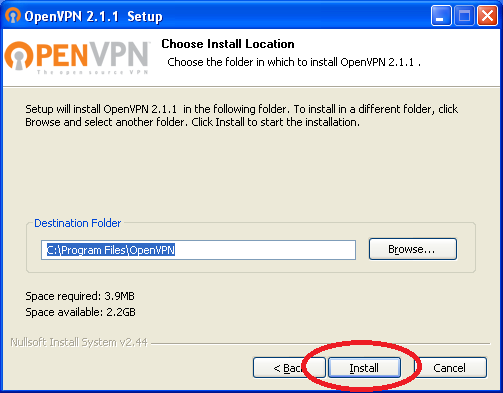 If you left the install path in step 6 at the default, you should follow this path: "My Computer" -> "Local Disk (C:)" -> "Program Files" -> "OpenVPN" -> "Config". Once you have "Config" selected, click on "OK"
14. Once you confirm that the destination path is correct, click "Next" to continue. 15. If a dialog box pops up and asks you to confirm replacing a file, click "Yes To All". 16. 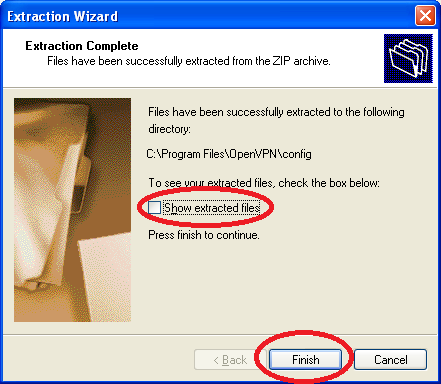 Once the extraction is complete, uncheck the box for "Show extracted files", and click "Finish". 17. 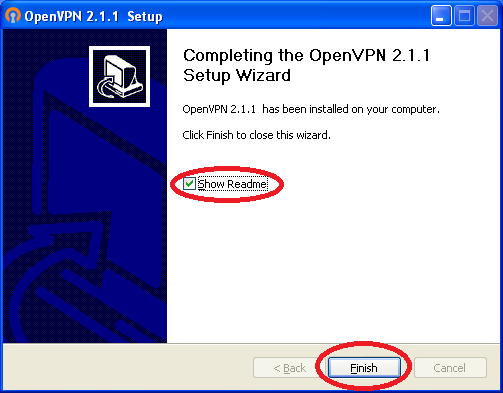 The VPN client is now ready to use. 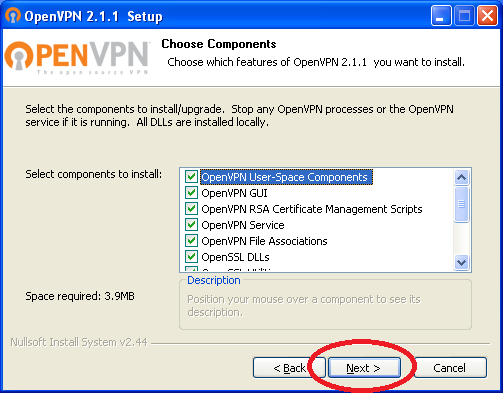 (If you are using Windows Vista or Windows 7, you must click here (http://secureschool.office.nj.k12us.com/vpn/win7.php) and do additional steps before continuing) There should now be a shortcut in your start menu for "OpenVPN GUI" in an "OpenVPN" folder. Run that shortcut. 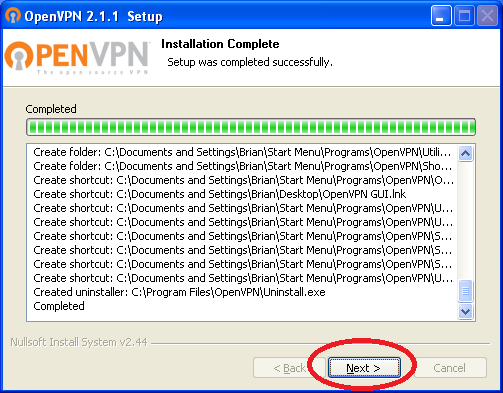 You will now have an icon for the VPN client in your system tray. 18. If you right click that icon, a menu will pop up. Click on "Connect" in the menu. 19. The client will then prompt you for a name and password. Enter your information, then click "OK". 20. The log display will show the connection process. Once it connects, the log will hide itself and the icon in the system tray will change (the computer monitors turn green) and a bubble pops up saying you are connected. 21. To disconnect, right click on the VPN client icon, and click on "Disconnect". 22. Once it disconnects, a bubble pops up letting you know. 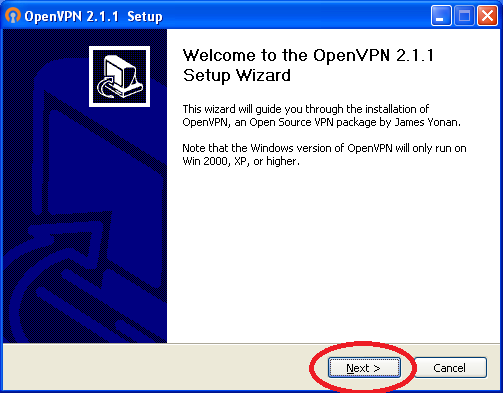 In this case, the "Local Area Connection 10" is the virtual VPN interface. On your computer, the number may be different. If you have any problems with this process or with using the VPN, contact your school's network administrator.